Brazilian Academy Champion Fluminense FC to Participate in 2016 Dr Pepper Dallas Cup | Dallas Cup, Inc. The Dr Pepper Dallas Cup, the oldest and most prestigious international youth soccer tournament in the United States, has announced the return of Brazilian side Fluminense FC to the elite Gordon Jago Super Group for Dr Pepper Dallas Cup XXXVII. The club, based in Rio de Janeiro, recently claimed their first Brazilian U20 academy championship by defeating EC Vitória by an aggregate score of 4-1. This will be the third Dallas Cup appearance by Fluminense. They have reached the tournament’s semi-final round in both of their previous appearances, with nine players from those teams having gone on to play professional soccer in five different countries. Two-time Super Group Champion Tigres UANL from Monterrey, Mexico will also return to the Gordon Jago Super Group in 2016. Tigres is one of the most successful clubs in Dallas Cup history, having won ten “Boot and Ball” trophies, including the 2003 and 2011 Super Group titles. Joining these teams in the Gordon Jago Super Group are the previously announced Barclays U18 English Premier League Champion Middlesbrough FC, defending Gordon Jago Super Group Champion Coritiba from Brazil, and Germany’s TSG 1899 Hoffenheim. 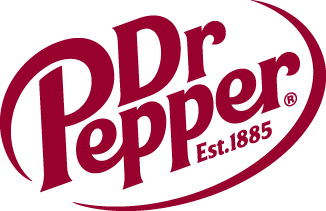 Dr Pepper Dallas Cup XXXVII, which will be held from March 20 – 27, 2016, will host over 180 elite clubs from around the world, including teams hailing from all six global soccer confedrations.